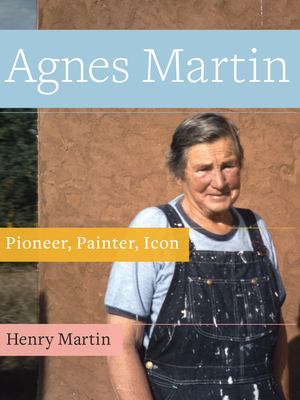 This is an intimate and revealing biography of Agnes Martin, renowned American painter, considered one of the great women artists of the 20th and 21st Century. A resident of both New Mexico and New York City, Martin has always remained an enigma due to her fiercely guarded private life. Henry Martin, award-winning writer, and art scholar, having access to those who were close to Agnes Martin—friends, family, former lovers—gives us a full portrait of this universally revered artist. Readers will learn of her bouts with mental illness, her several significant lesbian relationships, and her lifelong yearning for recognition despite her reclusive lifestyle and need for privacy. Arriving in the wake of major international retrospective exhibitions of her work from London's Tate Modern, LACMA in Los Angeles, and the Guggenheim in New York City, this book provides a perspective of Agnes Martin that has not been seen in earlier, more academic works or fine-art monographs. Certain to be a mainstay for readers of the arts, and admirers of the creative spirit, this book also includes rare photographs from Martin’s family and friends, many of which have never appeared in a book before.